Space, the final frontier... Star Trek T-shirts, hoodies and other merchandise abound for fans of the hit sci-fi TV series and movies. Join Captains Kirk, Picard, Sisko, Janeway and Archer as they boldly go where no one has gone before with these fun fan designs. We've got all your favorite characters, great quotes and other fun designs inspired by the voyagers of the Starship Enterprise and her sister ships. Classic Star Trek featuring Kirk, Spock, McCoy and the rest of the crew of the Star Ship Enterprise. 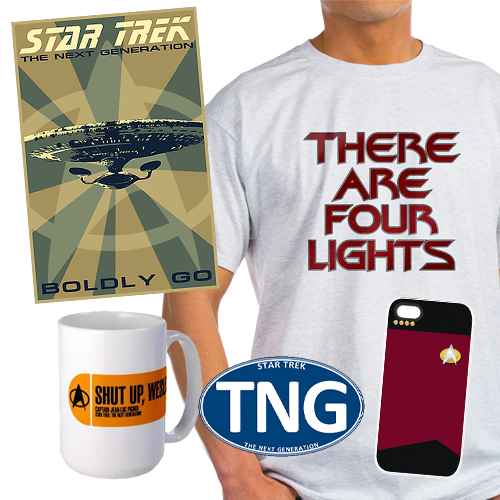 Great Star Trek: TOS T-shirts, hoodies and other merchandise. Star Trek featuring Picard, Crusher, Worf, Data and the rest of the crew of the Starship Enterprise D. Great Star Trek: TNG T-shirts, hoodies and other merchandise. Star Trek featuring Sisko, Dax, Quark and the rest of the crew and civilians aboard the Federation station, Deep Space Nine. 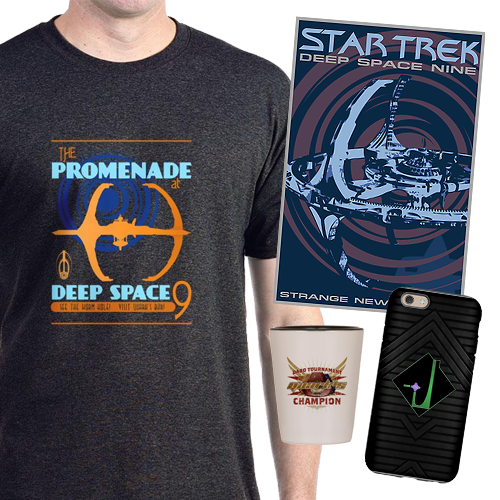 Great Star Trek: DS9 T-shirts, hoodies and other merchandise. Great Star Trek: Voyager merchandise featuring Captain Janeway, the Doctor, Seven of Nine and the rest of the crew aboard the Federation Starship Voyager. 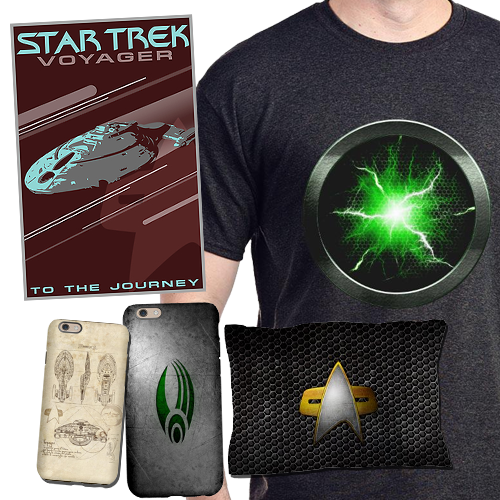 Gear up with Star Trek: Voyager T-shirts, hoodies and other merchandise. Great Star Trek: Enterprise merchandise featuring Captain Archer, T'Pol, Commander Trip Tucker and the rest of the crew aboard the Enterprise. Gear up with Star Trek: Enterprise T-shirts, hoodies and other merchandise. 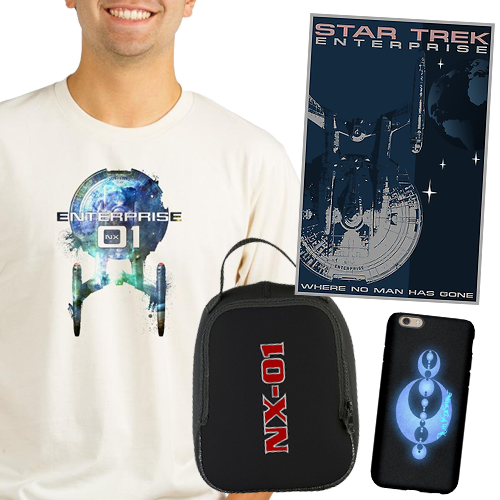 Looking for great Star Trek merchandise and designs that aren't specific to any one series or movie? This is the place to look! 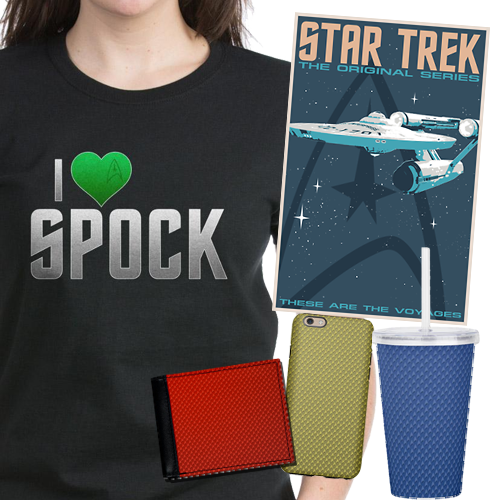 Fun, Star Trek themed T-shirts, hoodies and other gifts. 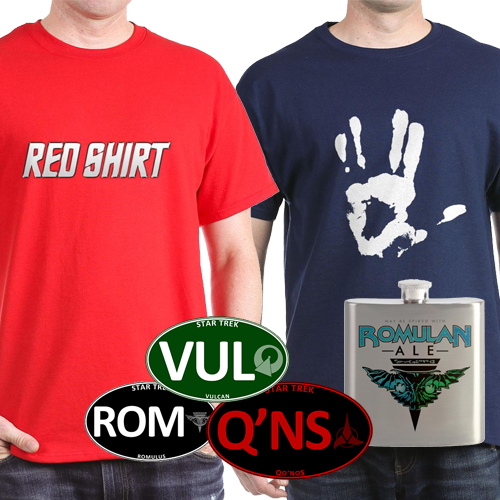 We've got a great selection of Officially Licensed Star Trek gifts. Whether you're looking for Star Trek t-shirts, hoodies, stickers or other Star Trek merchandise, Whee! Design and Whee! TV has a large collection of fun, unique gifts to choose from. You can shop with confidence because all our products are backed with CafePress' 100% satisfaction guarantee.